Hi my name is Santiano. I have worked with OuTrop since 2004. When I first started, I cut transects in the forest to help with the field research. After we finished making the transects, I was asked if I wanted to join the behaviour team to study orangutans and gibbons. I said yes! I was trained by our senior, Otto. Not long after, the number of staff on the project increased and Zerry and Thomas joined us in the behaviour team. Working in the very wet Sabangau Forest! For me personally, I was really interested to know and learn about the behaviour of primates. This is because I was very scared of orangutans before. I often heard stories from local people, especially my parents, that orangutans could be very dangerous and very aggressive. Some peope said that females can marry men and vice versa. 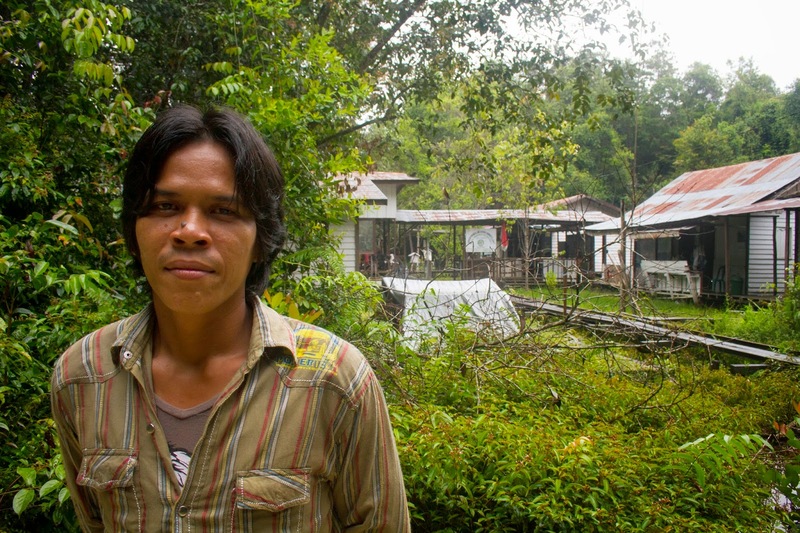 A lot of local people are afraid to meet with wild orangutans in the forest. After working with the behaviour team for more than 3 years I realised that I never saw or encountered orangutans like in the stories I was told. Orangutans can be aggressive, if they are disturbed. Sometimes they would pursue or come very close to researchers, breaking branches or knocking down dead trees. I now know that orangutans are not so dangerous for people, but it is still very interesting for us to learn and investigate. After I finished with the behaviour team, I was entrusted to be part of the phenology and nest survey team. In the phenology team we study the availability of food for the primates and for nest surveys we learn about the population density, by counting the night nests of orangutans. I have continued with these activities since then. Every month we go into the forest and collect data for 7 days on the phenology plots and 7 days for the nest surveys. I was trained by my seniors, Cis Coes and Ari, they helped me until I was ready to do this activity alone. I am now responsible for these activities as a Project Co-ordinator. I took over the responsibiliy from Cis Coes and Ari, who are deeply trusted by OuTrop, but now as the project grows they have taken on new responsibilities in the project as well as doing consultancy work for other organisations. I am from a local village in Central Borneo so this is all very surprising to me because I was given the responsibility to preserve and protect my forest. I already know and learn about the forest since I was about 9 years old as I often joined my late father with his forestry activities. I joined my parents in the forest because they used forest products to fulfill the needs of our family life. While my parents were in the forest they collected jelutung’s sap (a local tree species), tree bark and would occasionally hunt pigs and deer to eat and sell. I really love the forest. Sometimes I like to go for a walk alone because I really like the challenge of the forest. I am very curious about what my parents felt when they were in the forest to fulfill all of their life's needs. 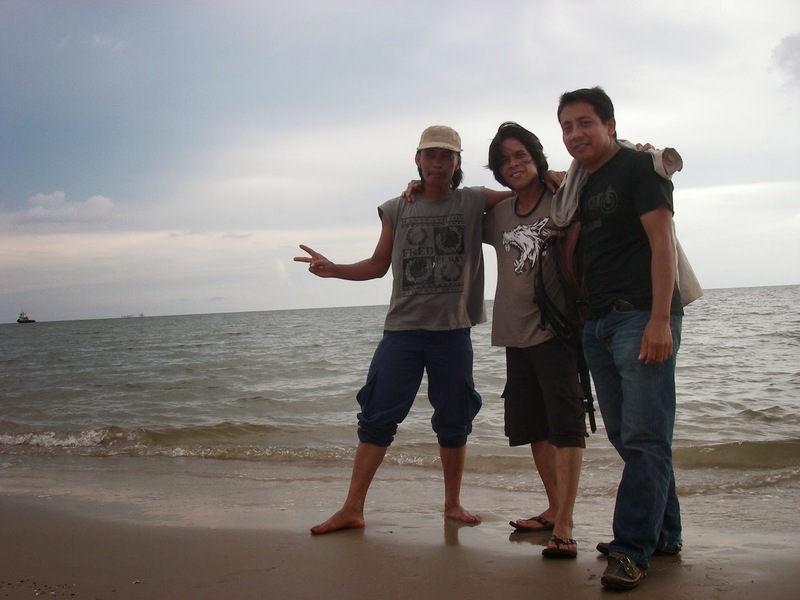 Me with Ari (on my right) and Bastian (on my left) while we were in West Borneo. We were there to carry out orangutan population surveys. 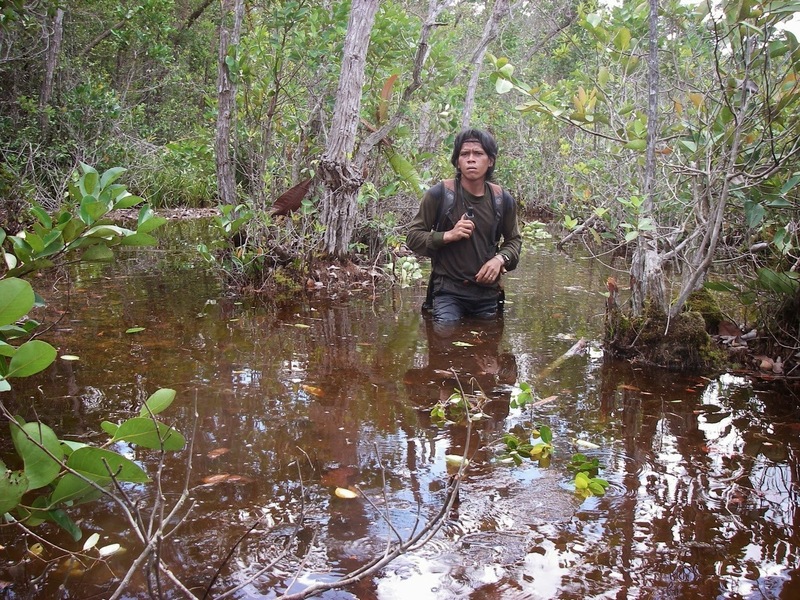 With OuTop, I have also carried our consultancy work in other parts of Borneo to survey orangutan populations. When I have the opportuntity to travel for work I am very happy because I can learn new things from other places and this can add experience and skills to my team. And to this I want to thank the OuTrop Team who believe in me to be able to help another team or other agencies from outside. I feel very happy because I able to work together with OuTrop and I can learn more about the forest and its inhabitants. It is challenging for me because I want to know more about what's in this environment. For all of these activities I want to say a big thank you to the OuTrop Team who have given me trust to join this project. I am personally very grateful that I can learn a lot from this work.